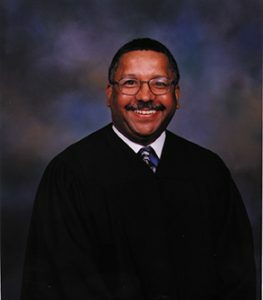 Kern Anthony Reese is a judge of Orleans Parish Civil District Court. Prior to taking the bench, he maintained a solo practice in New Orleans that focused on the areas of tort litigation, corporation and general business law and municipal He has also served by appointment as a judge ad hoc for New Orleans Traffic Court, Municipal Court and First City Court. He earned a BA. degree in history from Pomona College in Claremont, Calif., and a J.D. from Loyola University School of Law. Before launching his solo practice, Mr. Reese was a partner in Braden & Reese and an associate in Murray, Murray, Ellis, Braden & Landry. He was also a staff attorney for the New Orleans Legal Assistance Corporation and a law clerk for Harris, Stempley Mckee, Bernard & Broussard. Mr. Reese was a fellow of the Metropolitan Area Committee’s 1982 Leadership Forum and of Loyola University of the South’s Institute of Politics, 1980-1981. Since 1995, he has served as chair and a board member for the New Orleans -Home Mortgage Authority/Finance Authority of New Orleans. He has been an associate adjunct professor of Tulane University School of Law for the last two decades. Mr. Reese was a member of Louisiana Trial Lawyers Association and is currently a member of the Louis A. Martinet Legal Society and the Louisiana State Bar Association. He has also served as a member of the President’s Council of Loyola University of the South and as a chairman and commissioner of the Board of Commissioners of the Regional Transit Authority and of the Regional Planning Commission.